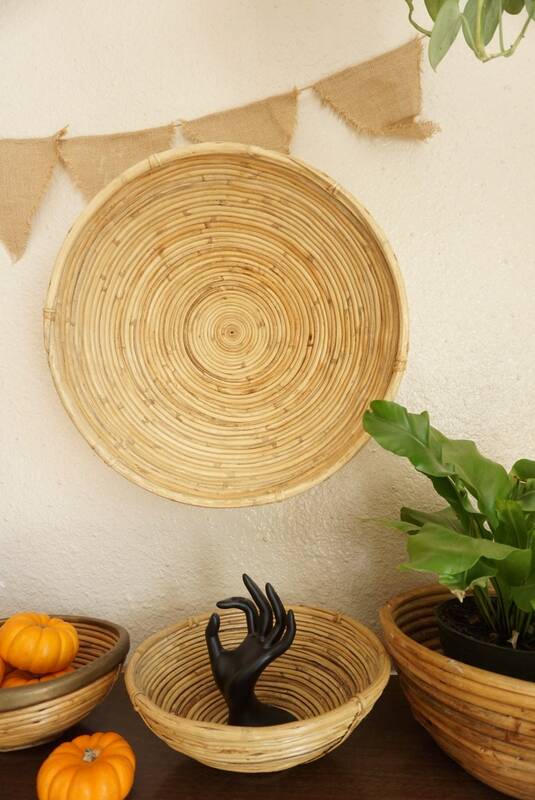 Gorgeous bamboo rattan woven coil basket. 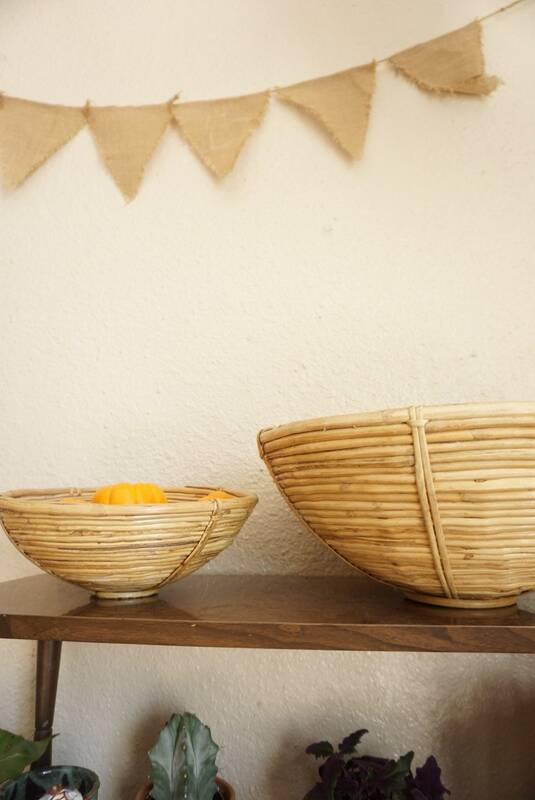 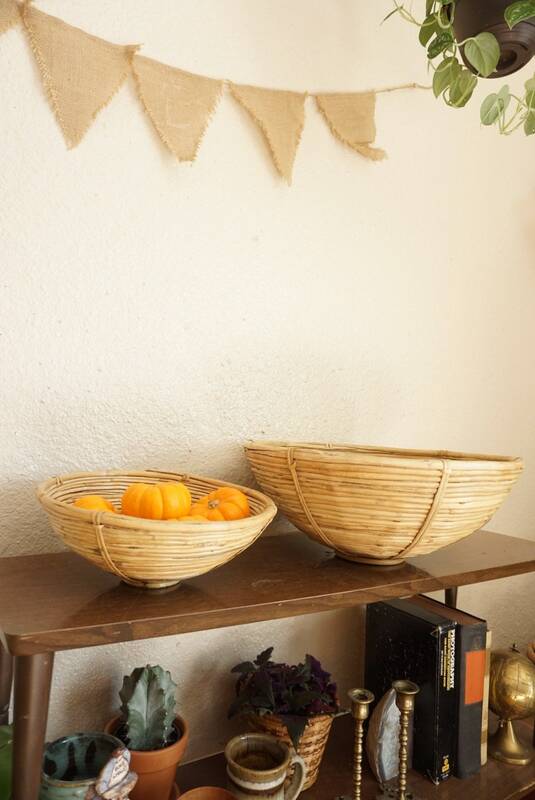 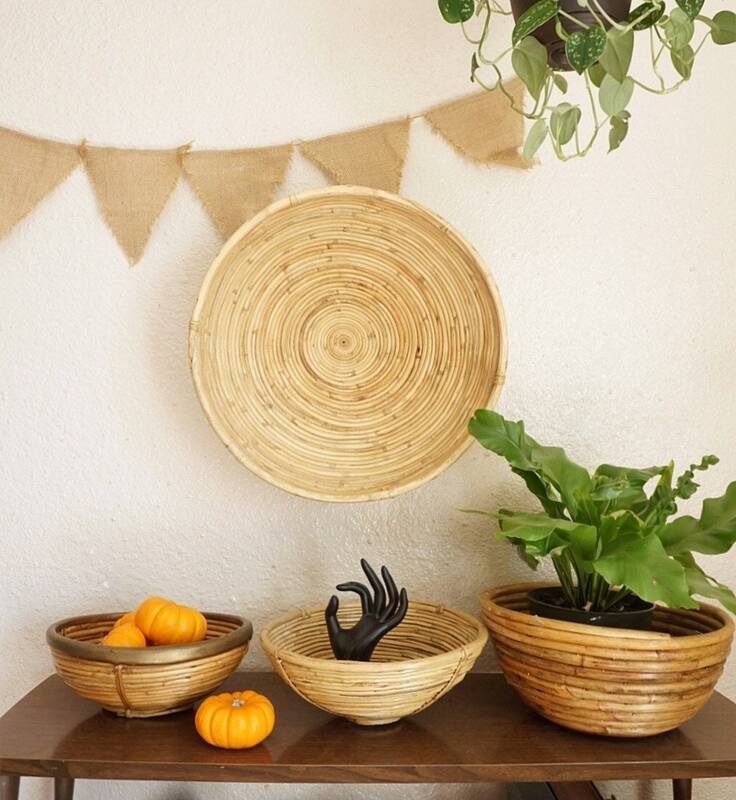 Tight coils and strong bamboo make this basket structurally sturdy. 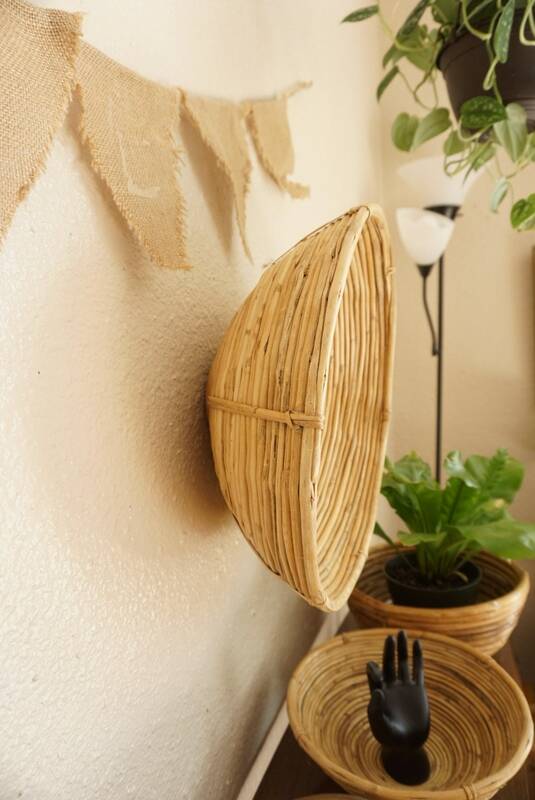 A unique piece that adds a touch of natural beauty to your home. 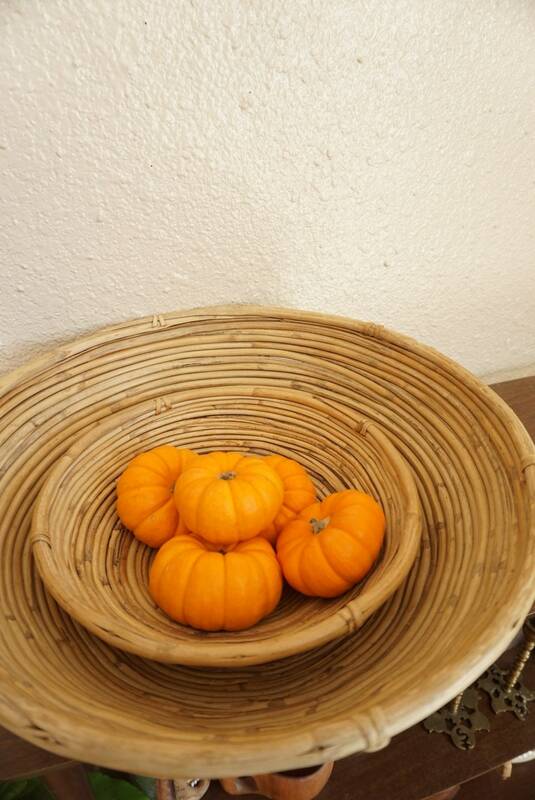 Good vintage condition with little splinting. 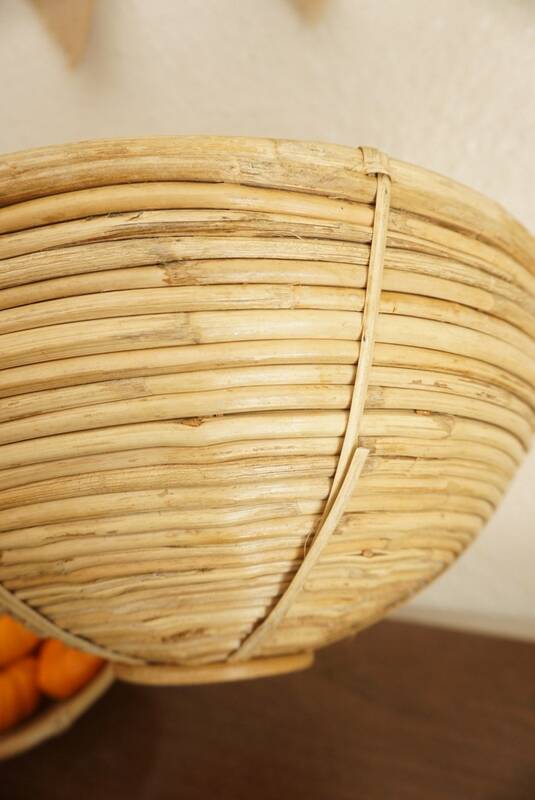 Some grime on bottom of exterior but can be cleaned. 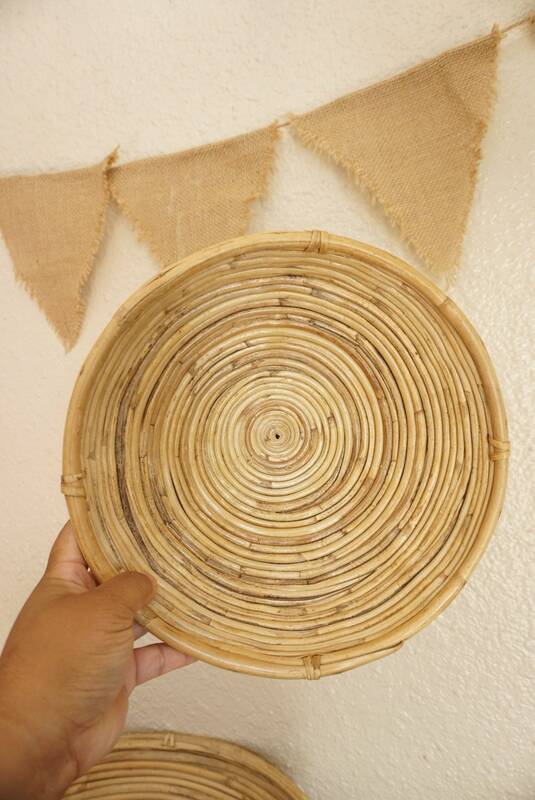 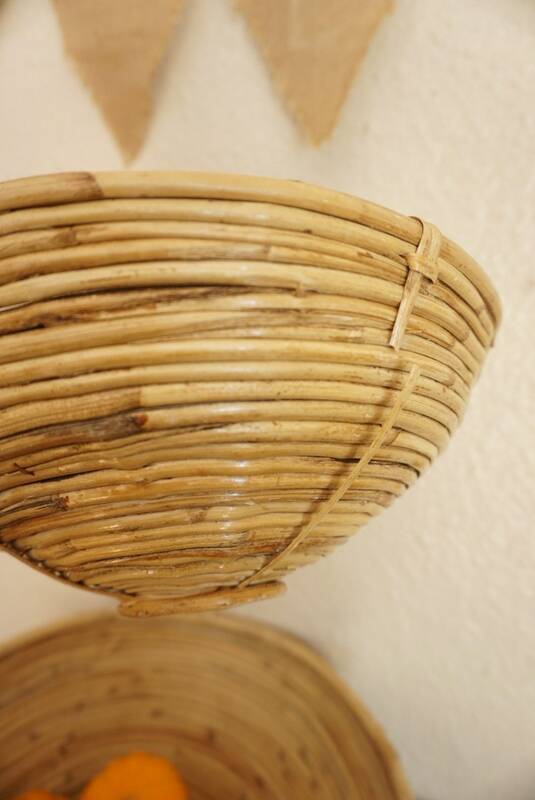 One decorative rattan strip is broken on each basket but does not affect structural integrity of the piece.